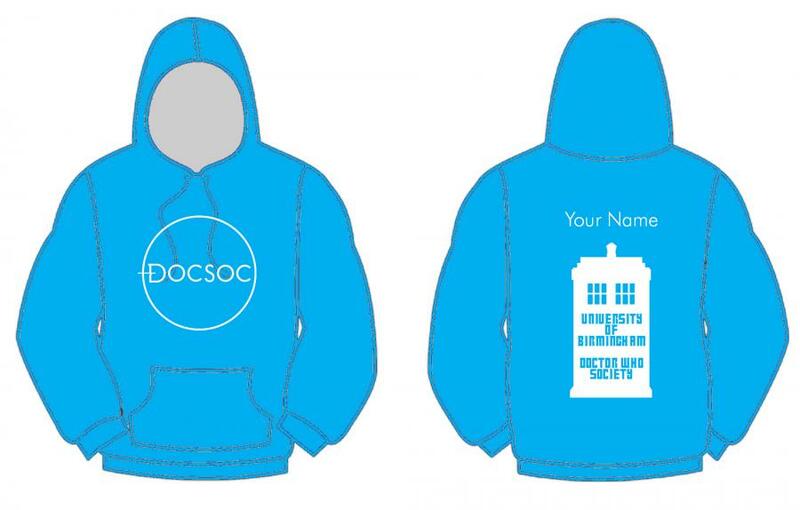 Unisex pullover hoody with contrast inner hood printed with society logo on front chest and Tardis design logo on back. Optional personalisation of a name printed across back shoulder - please use personalisation 1 below. Academic year (e.g. 2018 - 2019) may be added below back logo using personalisation 2 below. Print will generally be in white except on colours where it will not show, in which case it would be black.